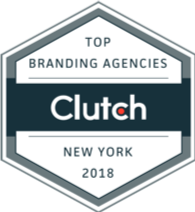 Tenet Partners is rated as a leading branding agency by Clutch, a ratings and reviews agency that helps buyers select the right provider for their needs. In order to receive our top ranking, Clutch analysts evaluate Tenet’s market presence by reviewing our client base, examples of past projects and overall expertise. Clutch analysts speak directly with our clients to understand the quality of our work and partnerships. Their conversations are converted into reviews that are published on our Clutch profile. Below are a few excerpts from a range of clients for which we completed a variety of projects and/or have ongoing relationships. These reviews were sourced from Clutch. “Tenet Partners stuck to their costs and time estimates from start to finish. They went above and beyond to deliver the best possible customer service. I can reach out to them at any time and get a quick response to a problem or small task at no extra charge.